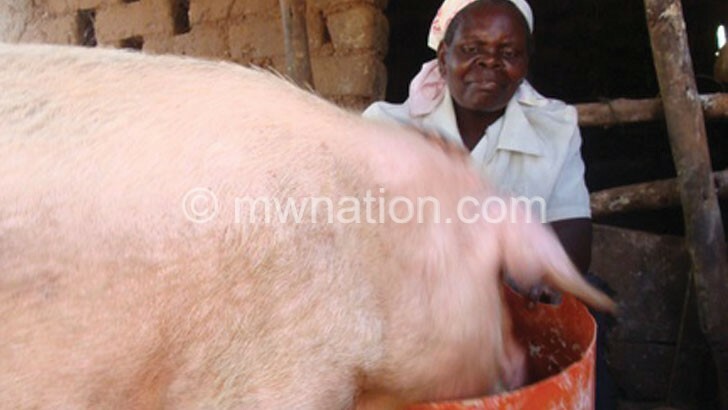 The Mchinji Agriculture Development office has extended the ban on slaughtering of pigs from March 22 to June 22 2019 in two extension planning areas (EPAs) of Kalulu and Mikundi due to an outbreak of African swine fever. The office banned the slaughtering of pigs in Msitu, Traditional Authority (T/A) Mavwere in January this year to prevent further spread of the disease in the district, which affected about 500 pigs. However, Mchinji district assistant agriculture development officer David Gondwe said in an interview that the disease has spread to the two EPAs covering T/As Dambe, Kapondo and Mduwa. “We have recorded deaths of pigs in Kalulu EPA where Kathobwa, Kasanda and Kakinga villages are affected and in Mikundi EPA where Masaiti, Mchifuwa, Mnjere, Makumbi, Machilika, Mkunjima and Thako villages have been affected,” he said. Mchinji district animal health and livestock development officer Alexander Phiri said the office may extend the ban to the whole district if farmers do not adhere to it. “We have reports that some farmers are transferring pigs to other areas in the district at night; hence, the further spread of the disease. This must stop, otherwise the outbreak will spread across the district,” he said. Africa swine fever virus causes a haemorrhagic fever mostly in pigs.